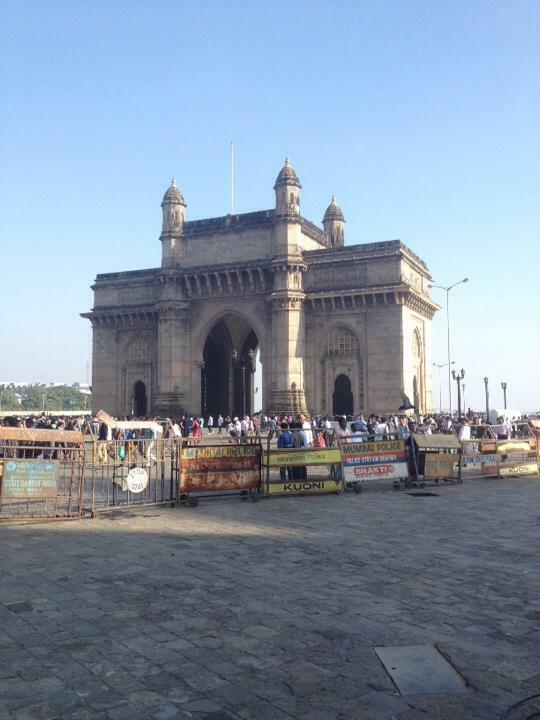 Bombay is the last stop on my one month tour of India. Looking back I think we got it just about right. I don't think we could have seen much more, save a couple of spare days in Jaipur, and most of our travel turned out to be well planned and spaced out. Bombay, or Mumbai as is now known, is a fast paced, vibrant city, similar to other metro cities like Delhi. It is overpopulated and crowded, especially at night, where there are people an noise everywhere you turn. I'm told it is very safe, at least compared to Delhi. Apparently the North Indians are a bit rougher and not as welcoming as their southern counterparts. We arrived in Bombay from Goa via plane in the late afternoon. We got to Sham's palace, Mark's grandfathers house, and set off to explore the shops. Given the exchange rate and relative strength of the New Zealand dollar, our purchasing power is very high, which we fully intend to take advantage of. The next day, my second to last day on India, we went to two large super malls. I managed to purchase several items I needed for work at a fraction of the price! It seems as if Indians are smaller than kiwis, as I usually wear M sized underwear, but the M sized Indian pairs I bought are very tight indeed! Either that or I have gotten fat in the 4 weeks to date. I don't wanna spend much time describing the malls, once you have seen one you have seen them all, these ones are just at larger scale. In the evening we ate at an Indian Chinese banquet, which was amazing, however I drastically over ate, which made for a rough night! On my final day, we took a car around Bombay, travelling through copious amounts of traffic to Southern Bombay. We travelled through bandstand, the waterfront area of bandra, where lots of the Bollywood actors and Sachin Tendulkar lives. These houses are massive, but like all other buildings in India, they will be far nicer inside than out owing to the exterior damage caused during the monsoon season. We travelled over one of the longest bridges in the world, around 3km (give or take) in length, to get to Southern Bombay. We visited various sites such as the Gateway to India and the famous Taj hotel, perhaps one of the most lavishly luxurious hotels I have been in. We lunched at the famous Leopolds cafe, the location of a recent shooting by Pakistani Muslim extremists. The cafe left the bullet holes throughout the building as a monument to the fallen, and I couldn't help but feel privileged to live in New Zealand, a country which has no real terrorism concerns. This will be my final post from India. I would just like to thank my Dad for the flights (as a graduation present), as well as all those who I have stayed with over in India. Also, to Mark, whose various mares have made the trip more entertaining, and Nick who has ensured that we always order enough food, thank you.